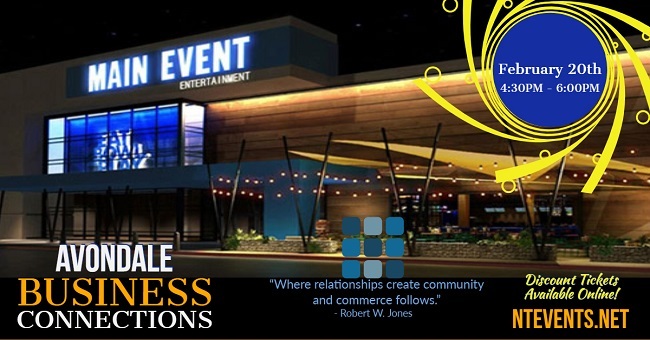 Come celebrate with like-minded business professionals from Avondale and across the valley by attending the February 20, 2019 Avondale Business Connection Mixer. Attend an evening of making new business connections, generating leads, and renewing existing business relationships that grow businesses. Keep up your energy with complimentary food, light refreshments, and music and enjoy a cocktail or soft drink from one of the cash bars. 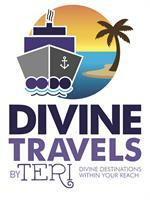 Limited time discount tickets available online at ntevents.net. Includes: 3 admission tickets, 3 buffet tickets, logo on marketing materials, exhibitor table, public introduction, 50 swag bag inserts, 15 min LIVE Facebook interview week before event, 10 minutes stage time during event.